While driving home a few minutes ago from the seamstress who'll make me my wedding outfit, I thought I should write a post about all this wedding stuff. So here I am in front of my laptop thinking of what to share. Haha.. I have a lot of thoughts and I'm not sure how to put it into words. I'm not the typical girl who wants a grand fairytale wedding. I wanted everything to be simple, intimate, and heartfelt. 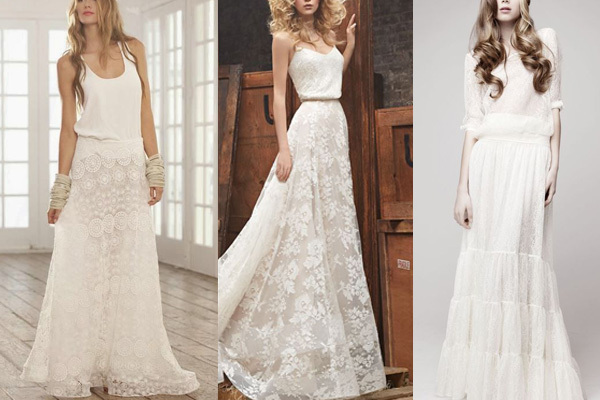 I don't want a ball gown or big long trains, I wanted a flowy simple lacey bohemian separates. I don't want a veil, I wanted a small pretty floral crown. I don't want a strictly formal event, I wanted the guests to be comfortable, but of course still look nice and polished. I don't want the grand crystals and white ceiling drapes with all the purple / blue / pink mood lighting, I wanted the place to just feel cozy and festive with buntings and fabric patterns. I don't want to spend all our remaining savings on the wedding (we did just built a house and a bought a car), I wanted to spend just the reasonable amount without sacrificing the mood and the food. :) Simply put, I'm not the typical bride. Though I'm not sure what typical is, but from most people I know, I'm not taking the typical route for all this wedding plans. People were surprised to learn of our 4-month prep period since most of them prepared for one year or more. I, on the other hand, I don't want to have a long engagement, I don't want the stress and anticipation prolonged, I wanted to be done with it asap. One even asked me if I am pregnant.. HAHA... (I'm not). We just wanted the date to be on our 11th year anniversary. So I think the proposal just came in on the perfect time giving us some time to do prep without having the long engagement. To be honest, I've been googling venues even before the proposal. (I'm not the only girl who did this right?!?! HAHA) In my defense, we've been together for 10 years, and I don't want to be caught off-guard just in case. Hehe.. But we didn't end up with any venues we had researched. We'll be doing the ceremony and reception in one venue so I want to take that into consideration. We don't want to spend so much on a place, so it basically cuts our options more than half. 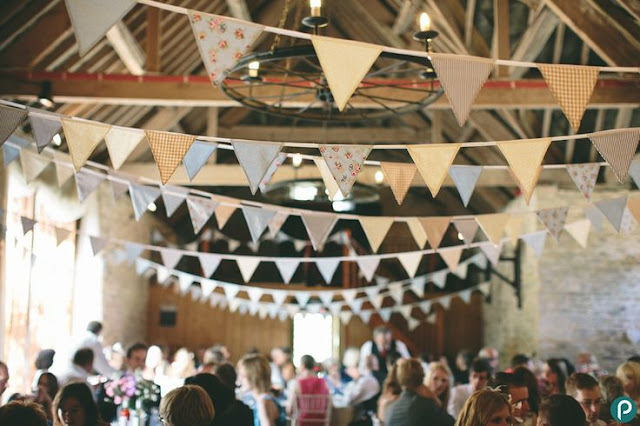 I don't want a grand ballroom, or too formal looking space, I just wanted a neutral space we can easily dress up. I've called a few venues and most are still available. There is one venue that I thought we'll be having our wedding in, Industriya. 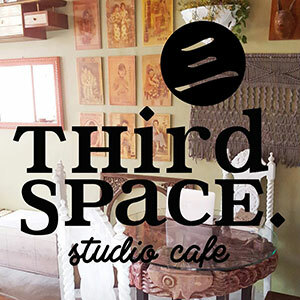 It's a resto in Marikina with a separate events venue and I fell in love with the space when I saw the photos, and loved it more when we went there. As a decorator, I'm particular with the look of the space and this venue looks great. BUT, a big BUT. They don't have a proper events personnel, they never call back when they say they will, everything has corkage, even basic L/S. But since I'm blinded with the look of the space, I'm still set on getting them. I searched and searched for reviews, there's a few not so nice one but I'm willing to disregard that. Then, I happen to chance upon photos of a wedding reception held there, and found the instagram account of the bride herself, and as pathetic as it may sound, I left a comment asking for her feedback. And she was so kind to reply in detail. She does not recommend them, I'll just leave it at that. As much as I love love the venue, I don't want to be stressed so I decided to just let it go. More than a month passed and they still hasn't called back. To think I'm already pencil-booked..Haha... But to be fair, they are just new (less than a year), so hopefully they can improve their service so people can truly enjoy and appreciate the beautiful space they created. Back to the drawing board. The sister of the bf has a close friend who owns a catering business (Royalty Catering). She's the one who catered to all birthday celebrations of bf's niece and nephews, and we love the food! We wanted to get them since I know that they'll be more hands-on since we know them personally, and the food is great! But since some venues have accredited caterers, we didn't booked them right away. After letting go of Industriya, I wanted to find a venue that's open to any suppliers, doesn't have corkage on everything, and doesn't charge an arm and a leg. I thought of village clubhouses --they fit our requirements. I'm only hesitant at first because well... children's party. That's the first thing I think off when you say clubhouse venue. Then I realized, I don't care. Haha.. We're not really big on being concern or affected on what everyone will think of or say. If it's a nice place then I'll get it. 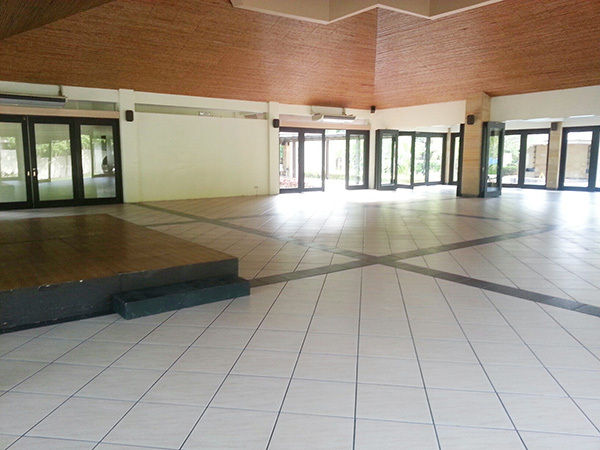 Our first option is the greenmeadows clubhouse, it's huge and super nice! (They also don't require sponsorship) Unfortunately, they are already booked on our date. After a lengthy group chat with my friends, one of whom does events styling, I came up to the conclusion that Ayala Hillside Social Hall fits the bill. My friend said that it suits our personality, and theme well. I didn't consider this venue at first because a friend used to live there, and my aunt and her family are currently living there. I feel like I'll be having a wedding at their backyard. Haha.. But it turns out, it's more of a blessing since I got the homeowner's rate since she booked the place for us. 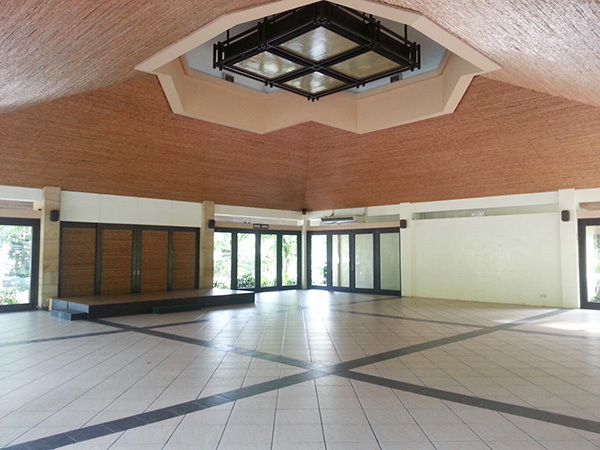 :) So, it's settled, we're having our wedding at Ayala Hillside Estate Social Hall. 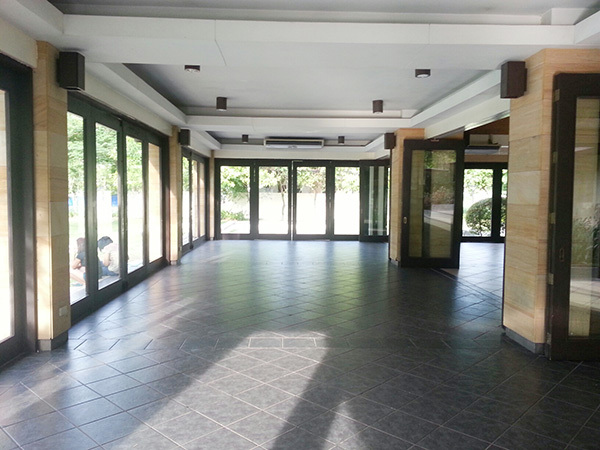 This is the main hall where the reception will be held. There's some sort of a foyer area upon entering the venue. That's where the ceremony will be. Normally, this is used as the catering set-up, but I really love to have the ceremony here so all the tables and catering will be on the main hall. 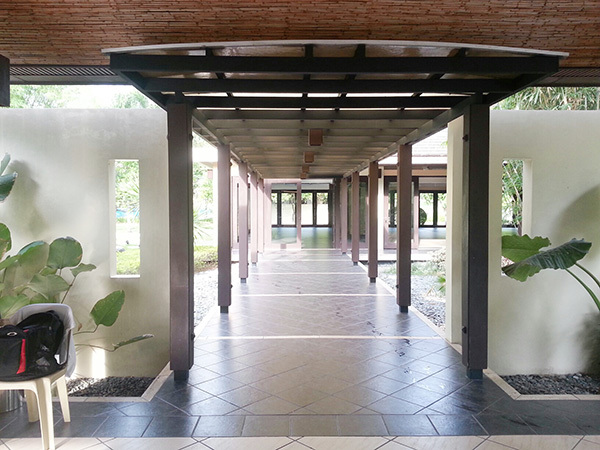 The entrance to the venue which will serve as the aisle. We're having 5 pairs. One maid of honor / best man, and 4 bridesmaids / groomsmen. That's it. At first I wanted to have only 3 pairs, but the bf insisted on having more since he has a lot of very close friends. So we compromised at 5. We'll not be having the veils, candles, cord, nor are we having Ninongs or Ninangs. Everyone was shocked about the Ninong/ Ninang thing because its the norm, and as some may say, sayang ang gift. Hehe..But both of us agreed that this is the most comfortable set-up for us. 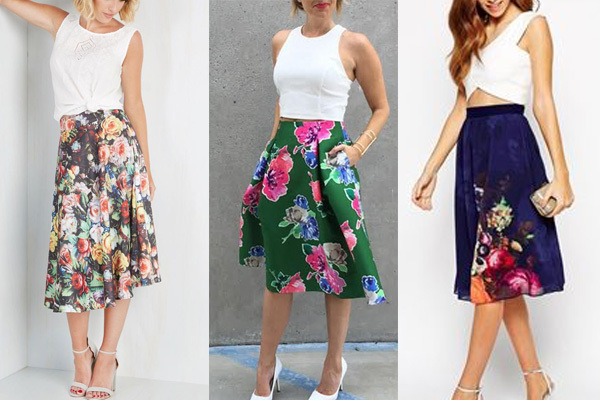 At first I just wanted a long chiffon skirt in different colors, but I was shopping the other day and found mid-length floral skirts (different color for each). We'll have them wear those and any ivory top. Relaxed and simple. Something like these. We already bought the bf's ensemble at a store that will never be named. Haha.. 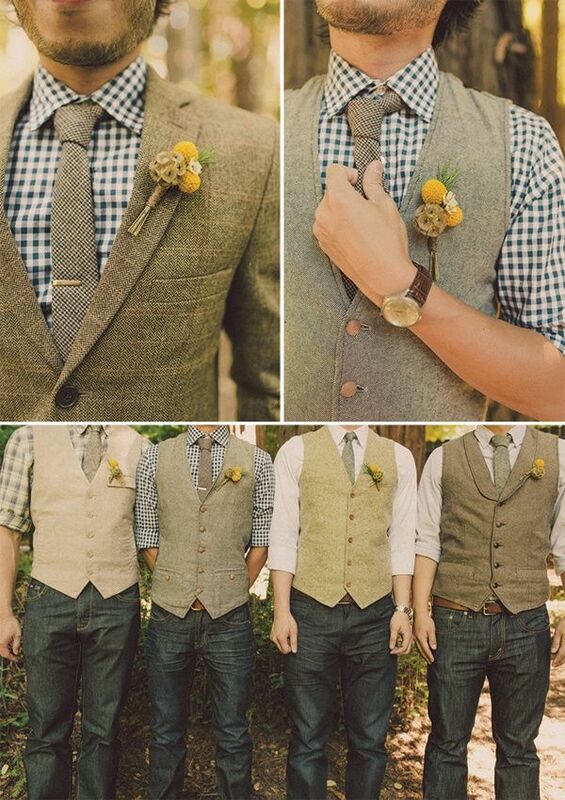 It's not the typical store you'll buy a wedding attire, but I love the look on him. I'm still not sure about the boys' attire since it's the bf's assignment, we'll probably have them wear khaki or dark jeans, long sleeves and vest. Here's the inspiration for their look. As for the look of the outfit itself, I just wanted to have separates so I can still use them both in the future. I don't want to waste closet space. HAHA... I wanted something lacey and bohemian. I won't share the actual design I had made here not to take the risk of the bf seeing it, but here are some of my pegs and inspiration. It will be a little dressier than this, but that's the feel and look i wanted to achieve, including the messy waves. I was once so immersed in reading forums a couple of weeks ago looking for recommended suppliers. I'm not overly obsessed but I wanted to hear what other people had experienced. But I usually just have one or two shortlist and easily decides on which so I can finalized on booking them. For hair and make-up, I chose Berny Tia since she does the fresh no make-up look. I just wanted to look fresh and an improved version of myself, nothing like extreme makeover version. Haha.. Emailed a couple of people short-listed, but I find her to have the friendliest response. As for the reviews, they said she's super easy to deal with so I'm sold. 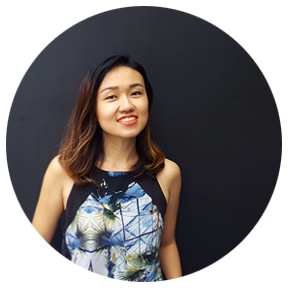 We got Joy Catubig as host because of all the good reviews on the forum I read. 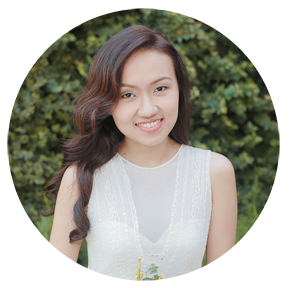 There are others with great reviews as well but we chose her because she seems fun and kalog. We're not keen on having a super formal event, so we wanted someone who could keep the guests entertained. The bf though doesn't want someone too funny ala comedy bar, and those who personally got her as an emcee said she's just entertaining and funny but not "comedy bar" funny, so I was sold. Her lights and sounds partner is JMI, so we got them to make sure that they'll work well together. For photo / video, I got my friend's supplier (Wedding East) which is fairly affordable, plus I love the work they did for my friend so I didn't stress myself so much for doing comparative research and such. Haha.. Good price-point, great output, and well-recommended so I'm good with that. We got Imbitado events based solely on good reviews. I wanted the day to be as stress-free as possible, and I wanted someone I can really rely on to take care of everything on the day. Hopefully, things will turn out great. I'll do the design and have my friend (instagram @artistichic) print them. It will be a simple 2 page layout. She does invitation (her wedding invitation is superb), and I know we're in good hands. So far, those are the booked suppliers. I can't give feedbacks yet since most of them I haven't personally met (I'm not doing trial make-up.. hehe), so I'll give review once we're done. Seems like we accomplished a lot but oh my gawd we have so much more to do!! As much as I wanted to be OC on all styling details, or other details in general, I keep reminding myself that that day isn't about the ceiling decor, or the backdrop, or the flowers. It's about us finally getting married. I would love to execute all of my ideas but if we can't, I'm okay with that too. I don't want to be stressed out on minute details that no one would notice anyway. I'm actually far too relaxed considering we're a mere two months away and we still have so much to do. Avps, music, boys outfit, prizes (we're planning to give out home decor related stuff.. hehe), backdrops, buntings, or all decorative detail actually. 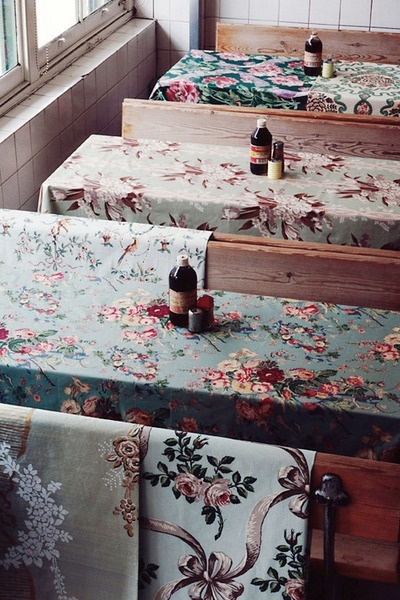 We only have the printed table clothes since I bought those together with my dress fabric a few days ago. Next week, we'll start on those. The plan is to finish everything in the following month, and just enjoy the last month of prep. Hopefully, the only thing to do on the last month is the rsvp, and the flowers (day before!). Oh, and we have to at least make the Tiny House in decent order since this will be the bf's prep area! Would be nice to have photos of them all dressed up in the 3rd floor. Imagine the tufted sofa with navy walls and bricks as their backdrop! They can even shoot on the roof. hehe... I, on the other hand, will do prep at my uncle's house, which is already soooo nice. Yep, our deciding factor for the prep venues is the interior. Obviously, I'm still not comfortable as calling the bf, fiance. I find it weird. HAHA.. We're not the smoochy type, we don't even have a term of endearment. So all this wedding preps seems weird to me actually. Nice weird. I, obviously, do all the planning and booking as most girls do, and just ask for the bf's opinion/feedback/final decision. Oh, I forgot to mention our theme, it's south american/bohemian, whatever that is. We don't have a color motif, we just have a feel or vibe in mind. That's it for now. I'm not expecting a perfect day, nothing will be perfect anyway, I'm just hoping for a heartfelt, fun day, surrounded by people we love, and being beside the man I'll soon call my husband. NAKS! That's so sweet, Elle! You keep everything simple but heartfelt. I admire you for being practical, creative, and sincere. Best wishes! Thanks everyone!! Maria, ended up purchasing a dress na lng. See the wedding posts for details. :) Thanks! Hi! I've been googling for a long time to find a venue for our reception. May I know the rental price of the social hall? Do they have corkage fee? But our rate is based if a homeowner will be renting the space. If you'll just have a sponsor, I think it's 25k. No corkage fee for anything! ;) good luck!